In Watch Dogs 2, followers serve as a fantasy alternative to traditional points of evolution. In the game, the developer set numbers for the release of "Research Points," which are used to unlock new capabilities in the tree of skills, and unprecedented missions. Virtually every activity in the game world guarantees followers. Check out this guide for the top ways to attract more followers and quickly evolve in the title. The core operations, which take the history of the game forward, are the main way to get followers in the game. The developer has programmed the game so that if the player completes only those core goals during his experience he will have enough points to enable more than the essential features to reach the end. Since the amount of followers needed to get "Search Points" increases with each hit level, paying special attention to main operations can be a good way to quickly evolve early in the game. One of the first missions, involving stealing the car from the TV show "CyberDriver", for example, can give 27,000 to 46,000 followers according to the speed at which it is completed and the state of the vehicle at the end of the stage. The numbers are similar for most of the main goals of the game, with the exception of a few missions, such as the last one, which guarantees no less than 402,000 followers at once. However, in order to get there you must also participate in secondary activities to ease the way. Run races in the "Driver: SF" application and observe collection points on the map to optimize your routes. Additional objectives, not necessarily related to the progress of history, are also good ways to get followers fast, even during your first steps in Watch Dogs 2. Stay tuned to the application "ScoutX" which more or less as in Instagram , asks the player Take photos of points of interest or tourist attractions in San Francisco. Whenever you are near such a location, an indication will be displayed on the screen. If you wish, the player can also watch a list of nearby things on the cell phone and go there. Just take a selfie on the spot to secure eight thousand followers at one go. Races also ensure a good foundation on the internet, and the better the performance, the greater the number of people who will be interested in "DedSec". A motocross gold medal race, for example, guarantees 11,000 followers, and can be completed in about two minutes. 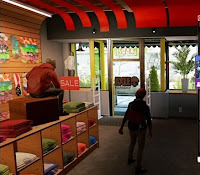 The Watch Dogs 2 online mode brings an integrated campaign experience, with missions that appear on the map and can be completed even alone if the player does not find partners. And while some are common operations, others bring dedicated competition activities and can be an almost endless source of followers. Participating in modes such as "Reward Hunter" or "Invasion Hacker", for example, can guarantee four thousand to 25 thousand followers at one time, depending on their performance during matches. All this depends solely on the presence of others online. You can participate indefinitely in these activities, guaranteeing the evolution if the offline missions available on the map.